You are cordially invited to attend my PREMIER ART EXHIBITION! Where: Frensham Studios, Farnham, Surrey, GU10 3BJ. If you are in the area, please come down and see me and the other exhibiting artists. Do your Christmas shopping there, because art truly makes an amazing present! It’s thoughtful, it keeps on giving, and it won’t lose its value. It will even increase! 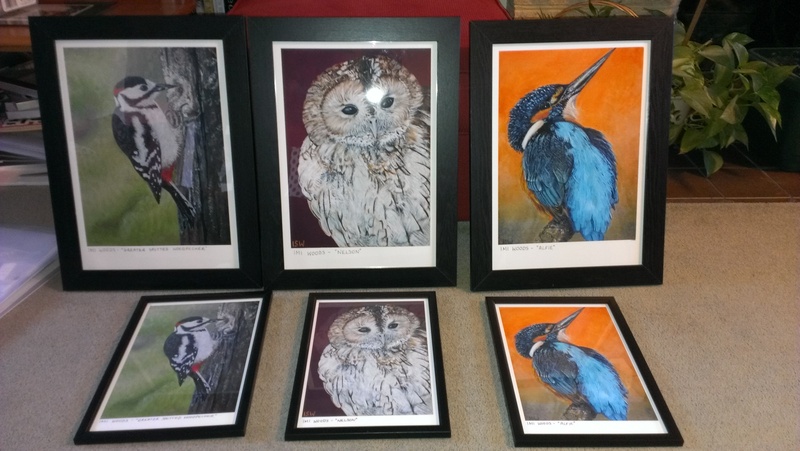 To prepare for the exhibition, I have got several of my paintings made into prints, including a limited edition run of my Kookaburra. I have framed all of these to make beautiful ready-to-hang gifts. I’m sure you know, framing art can be incredibly expensive. It’s normally out of reach to the young artist starting out. But following some excellent advice, I have done it myself. Same professional finish, but more affordable for me… meaning more affordable for you! 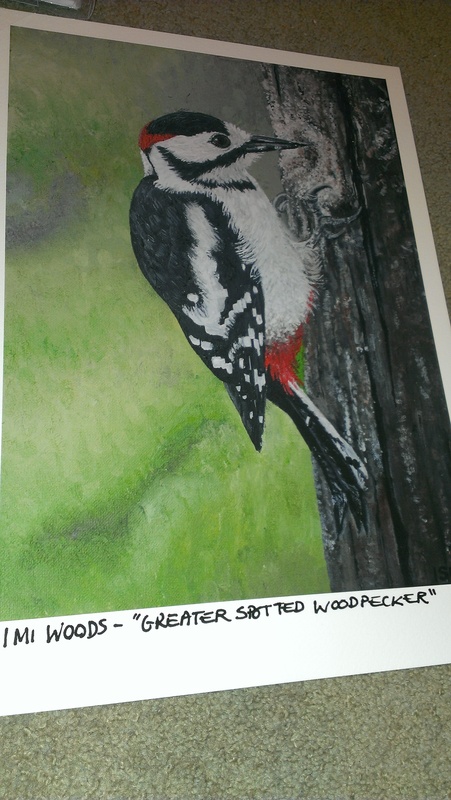 Giclée prints on cotton rag paper of your artwork. Black wooden frames of the same size as your print. 2. Get a smart black wooden frame. Standard sizes are much more affordable than bespoke sizes. 3. 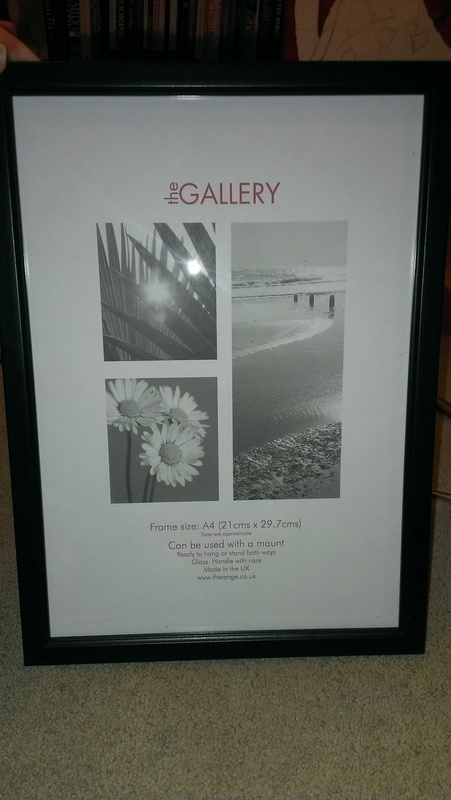 Pop your print in, and put a plain piece of paper behind it to protect it from the frame. 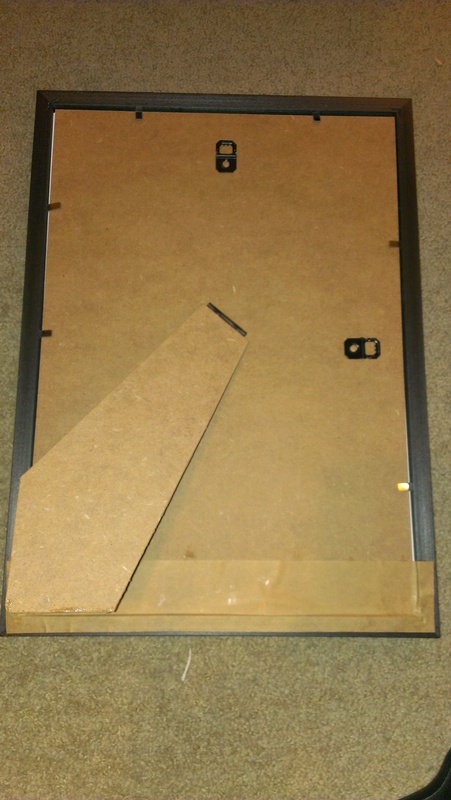 Put the back of the frame on. 4. 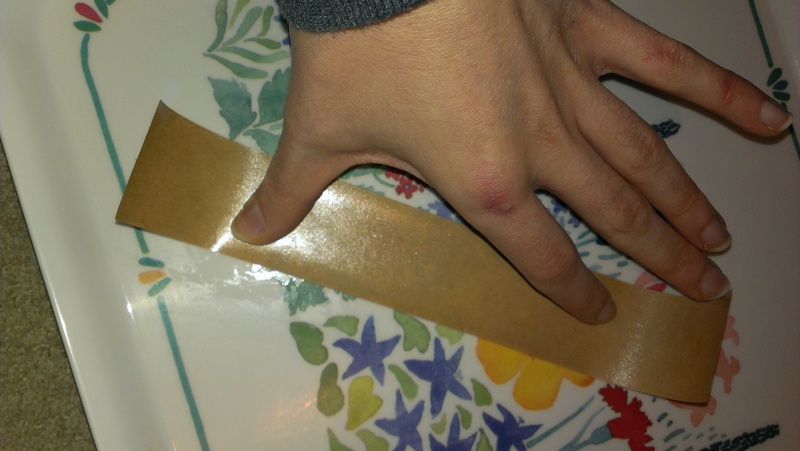 Get your gum tape and cut strips of the right length to cover the seams on the back. 6. 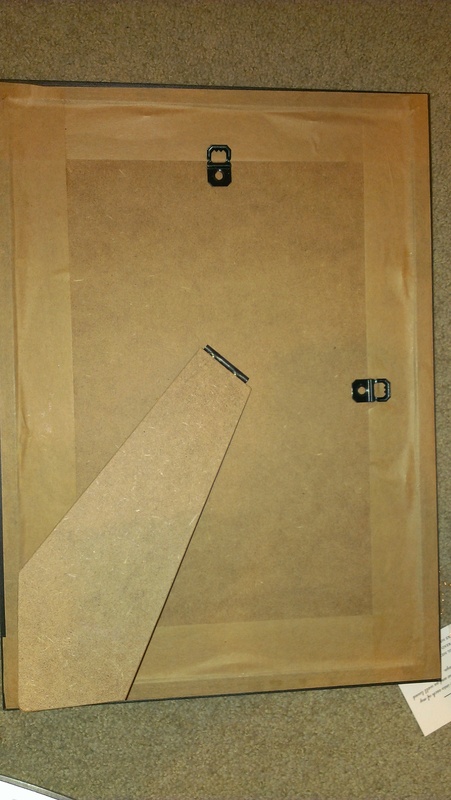 Carefully paste the sticky strip along the seams on the back of your frame. 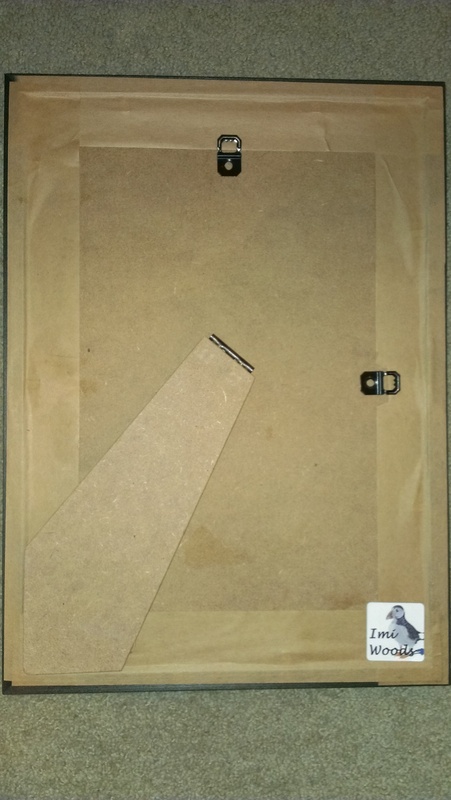 This will keep all the dust out, keeping the print safe and secure. 7. Do this for all the other sides. You may have to cut into the gum strip to avoid pasting over wall fastenings. 8. Pop one of your personalised stickers in the corner. Now your artwork looks fancy and framed, but you and your clients don’t need to shell out the big bucks!